You Are Here: Home > Why Buy OEM Parts? If you glance under the hood of your car or truck, you’re likely to notice that there are a lot parts under there. To keep your car running each time you turn the key, you count on thousands of articulating parts all moving and working together. When a part fails or wears out, it need to be replaced to keep things running right. Shopping around will show that there are a lot of off-brand replacements of questionable quality on the market; only genuine original manufacturer equipment (OEM) parts will provide a perfect fit for the precision you need. 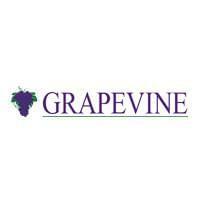 So, why choose to shop at our Grapevine OEM parts department? Because they’re made by the same people who made your vehicle’s original parts, OEM parts are sure to be a perfect fit. Mopar is the licensed company that makes parts for Chrysler, Dodge, Jeep, and RAM vehicles, and they’re always made to meet strict specifications for a perfect fit. You’ll find what you need in the Grapevine Chrysler Dodge Jeep parts center. Sticking with OEM parts keeps your vehicle’s warranty valid; often times, opting to use cheaper aftermarket parts can cause other problems and void your warranty. On top of lasting warranty coverage, OEM parts also provides lasting functionality. You might save with aftermarket parts, but you’ll pay when they need to be replaced again sooner than later. Opting for OEM parts is the only way to ensure lasting performance. With established distribution and a network of trusted dealerships, OEM parts are easy to find. In fact, if we don’t have what you need in stock we can get it ordered and delivered so that you don’t have to. Of course, we’re also happy to carry out installation, if you want us to. When it comes to caring for your vehicle, Grapevine Chrysler Dodge Jeep and Mopar are in your corner. To order parts or schedule service, don’t hesitate to contact our team by calling (817) 410-7572 today.